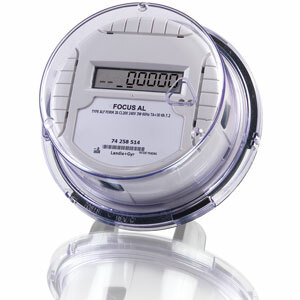 The E130 FOCUS® AL provides the utility industry with a reliable and economical solid-state meter platform that easily adapts to various advanced metering technologies and applications. Designed for the utmost in reliability and better overall endpoint performance, the FOCUS AL uses minimal parts and connectors. Its oversized innovative single circuit board design provides the flexibility to install a modular communications board or KYZ option output board. And with highly accurate load performance and the use of a field-proven Digital Multiplication Measurement Technique, the FOCUS AL assures dependable and consistent operation over its lifetime.